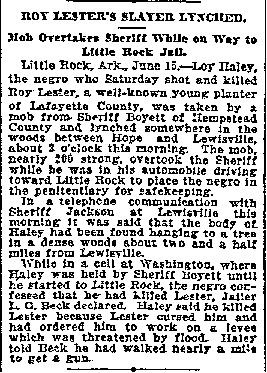 Roy Haley (in some clippings, appears as “Lon” or “Loy”) was killed on June 15th, 1915, in Hempstead County, AR. 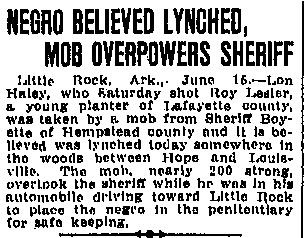 He was removed from the custody of the county sheriff by a group ~200 strong. 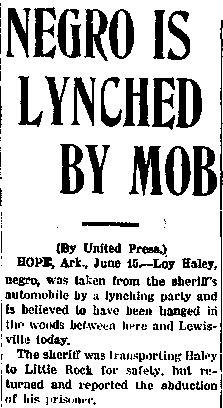 However, it does not appear that the sheriff (or anyone else) investigated this incident, identified members of the mob, or sought to prosecute anyone for the crime.